The four-year-old boy, Younes Jratlou, disappeared during the night between Sunday and Monday following an argument between his parents. The family lives in the village of Bizet/Ploegsteert (Comines-Warneton), close to the French border. The association Child Focus has distributed posters, while the police have deployed a large force to find the little boy. "It’s becoming quite a worry now, the boy’s only four years old. I don’t want to see him having to pass another night away from home,” declared Alain Remue, the police chief in charge of the federal police disappearance unit. Younes is 1m10, of medium build. He has brown eyes and short brown curly hair. When he disappeared, he was wearing a blue polo neck jumper and was barefoot. This case has been placed on my Missing Childrens forum and I have had a very brief look at it as its quite late in the morning. The findings I have are as follows. Tarot is not 100 per cent and I simply write what I see. Tarot basically throws light on the past present and the future. I leave my findings below and will come back to this case if nothing happens in the next 3 to 4 days. I just asked where this boy was. The knight of pentacles can suggest a plodding sensation and wild and fertile fields - so hiking walking cycliing is in this card. I see a crossroads here - and also 'safe port in a storm' and protective measures. So Im wondering if he is somewhere safe? because this card does show Having food, money, shelter, clothing, good companionship. And it shows a big decision and swift change of residence so Im not sure if he just wondered off on his own, looks like he was taken somewhere does,nt it and by someone. So this is not a case of wandering off that I can see unless Im not concentrating. The other thing the first thing that this boy showed me was A SLIDE a big yellow one. I dont know if he likes them particularly but its the first thing that jumped into my head. Perhaps thats just something he wanted me to see and nothing to do with where he is. This card shows me business arrangements, security and partners. So perhaps two people have agreed on what to do about this child. The knight of pentacles is a pretty steady kind of card as a rule. The hermit card links to this so he could be somewhere there are hills. Thats a bit obscure I realise. There might have been a car initially or some form of transport but Im not sure. This card can have something to do with an ex - partner. Feeliing there is a country connection to this card. In this card is someone between their 20s and Mid thirties. There is some financial situation going on here. When asking where this boy is the card tells us -travelling - but it seems quite slowly so perhaps its a long journey? I better mention this card is manifestation so someone has seen him already?. I dont know if this will be reported soon but there is some good news attached to this card. Hope thats the case and its forthcoming. I will see what has happened now. Looks like there is some insecurity on this card connected possibly to the mother or to a woman. It seems someone here wants to benefit from something and they are very cold minded about it as well. Someone is more interested in wealth and security perhaps either for the boy or themselves so perhaps they arranged something for that security of the boy. The woman has a scathing tongue it seems she gets ostracised a bit because of the things she says and can lose friends. This card does,nt shine such a good light on a female describing her as manipulative , insecure and because of that neglects responsibility. Perhaps the parents should be interviewed with particular reference to the mother. There is some reason attached to her why the child is not there. Thats very brief but I will work again on it if he does not show up. I have a number 8 around this boy - I also have a basement/cellar card but it could just mean that he is out of sight. Something might come up too in the next four days. I will write further on this case shortly. 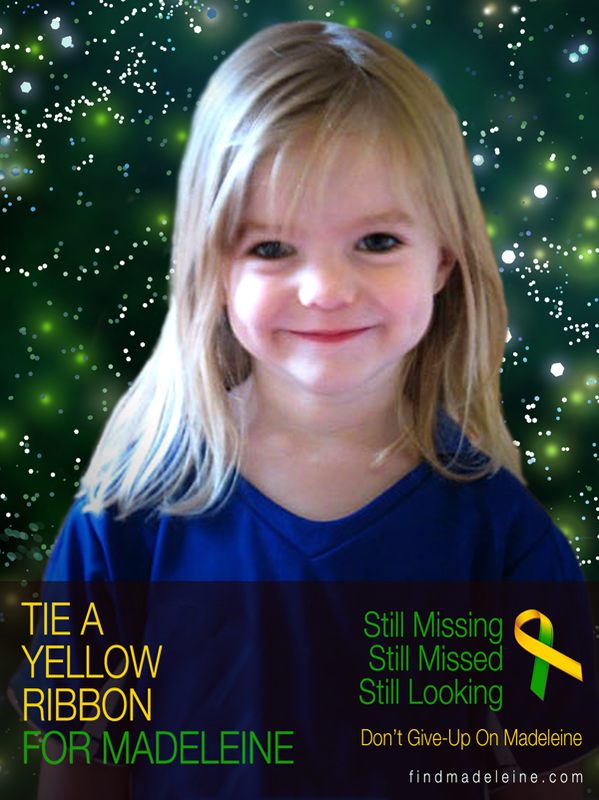 I did not get back to this case which is very sad as this child has now been found dead. Tarot gave some guidance past present and future not 100 per cent accurate but did show aspects of the case being in the countryside and the situation with the parents at time of disappearance. I did think he was out of sight perhaps in a basement and this report on the link suggested that originally it was thought the child was weighted under water but then was quickly corrected to reflect him being found in the river. I need to see more news reports about the child to ascertain when he was found and when they thought that he was put in the water as I did not see water in the tarot on 30th October though I did see open spaces. I felt that he was safe on the day of writing the tarot and should have come back to write more. Sadly I dont always get the time to go back on the cases so I have not written further from the 30th. I will try to find the case details to see further what links with the tarot. I see however that the child was found nearly 8 miles away and I do not think this child wandered that far on his own. Depending on when he was put in the water it does give me reason to believe that he was with someone as tarot has suggested. I also felt we would have 'good news' and it seems the only good news is that this child was found. I will come back to this as news appears. Again another child lost and theres just nothing anyone can do. How children can just wander out of the house like this is just bizarre. It is not known how this little boy got to the river so I will wait on the reports and then tie it up with what I managed to see. RIP little child - Im so desperately sorry to hear this news today. There is another report here - seems to tie up with some of what tarot has said about e partners and financial/material things. "If my wife didn't walk away Younes was still here"
"First my family in order. Then maybe the truth about what happened with my son." Mohamed says 'Manito' Jratlou, the father of the dead Younes (4) from Le Bizet, in an exclusive and detailed interview. His story about the disappearance night is nonetheless full of holes. The bickering between father and mother Jratlou started two days before the disappearance of the boy, now over three weeks ago, writes the newspaper Het Laatste Nieuws. The bickering over the purchase of furniture, a gold ring and the man's alcohol abuse escalated to a fight during the night disappearance. "I hit my wife and she me. It also flew around. A diamond was killed," said Mohamed against two journalists from the French magazine "Paris Match". "The children shouted:" Mum and Dad, stop it. " Younes has certainly not shared in the blasts. He is run away, my oldest son says Wasir. At that moment I was myself driving around in Le Bizet, looking for my wife who had run away. Well, it was quite fierce. Afterwards that night I could not reconstruct exactly. The police claims that my night, as I explained, certainly 40 minutes too long ... " The father says he does not know what happened Younes. "Someone brought him to the Lys, surely? My son is certainly not themselves go walking. If my wife stayed at home, then nothing happened." "I did not think it was Younes"
You're the body of your son to identify. What went in was around, and ask Michel BOUFFIOUX Emmanuelle Jowa of Paris Match. Mohamed Jratlou (weeping): "I did not think it was Younes. I first knew him not, because I was deeply touched. When they showed his whole body, I saw that he was circumcised and a birthmark on his back and a beauty spot had on his foot. When I was sure it was Younes. My son is now an imam by the Islamic rules on the bier. Royal Air Maroc will provide transport to Morocco, where we will bury our baby. Then will my wife, Wasir my son and I have one months stay in Morocco. " (With gestures) "We had two eyes but one eye is now gone. We must fight for the one eye that still remains. ... And as I recently said to the police if I am the guy who did it , I will kill him. The police have told me that I should not do. " What have you to say to the people you suspect? "That I am innocent. I have slain my son. It hurts me deeply that people accuse me." You look different but the feelings are a man who is boss. "That's my nature. In Morocco the women who weep at the death. Men do not cry. Certainly not in public. When I am alone in my empty house, then the tears flow. I also cried for the little monument that people have made Le Bizet Younes. " Have you any idea what happened to your child? What did you think when your son was gone? "In the first moments I have little worried. I thought I would find him soon. He could not be far. Then I feared that someone had taken him. Even when I was not really worried, because I hoped they Younes would return. Then haunted by my head that someone could hide my son. That was the opinion of the police, when I gave him as missing. After several days searching everyone began to doubt. After he was found, the autopsy indicated that he did not beaten, raped or was driving overturned. " Younes would have walked himself to the Lys? "Certainly not. And even less so in Komen. That is more than 12 kilometer from Le Bizet. Someone must have taken him." Did the police ask you if you have enemies? "Yeah, but I have no enemies. We visit anyone and nobody comes to visit us. Younes had exactly one boyfriend. There is of course M (an ex-girlfriend of the father, eds). She made me black, behind my back. years ago I had a time together with that woman. We broke up, but she could not handle the break. When I first married to my wife, she threatened to blow up our marriage. I've often found my door black oil spots. The work of M. I have always wiped with chlorinated water and the salt. There are no more traces. The woman now claims that I ever would have threatened with a weapon. Complete in the blue. The only weapons I have at home, his ornamental Abels. They hang on the wall in my living room as decoration. " You made an argument with your wife in the hours before the disappearance of Younes. What exactly happened? "That's a long story. We had first row on a trip to Morocco, where we would attend the wedding of a son of my sister. We ultimately decided not to go because Wasir his absence would rise much behind in school . To compensate, I wanted my sons' room renovation with two new offices, a wardrobe, a bunk bed and a computer with internet. We would buy the stuff in a shop in Ypres, but it was too expensive. We eventually came In a second case in Mouscron correctly. My wife thought that she was "old crap" sold. But I have since purchased the furniture. I was proud that I could bring home the cupboards. That was the Friday before the disappearance. Because there was no room in my car, my wife and my two sons took a bus towards Le Bizet. that evening I contacted my ex-colleague Michel. He would help me to save the furniture. We drank a pint together first and ended up a little later at the party of the fire, where we were together two bottles of pink soldier. We were stranded for 2 hours at night with Michel home. He thought I was too drunk to have the drive and asked me in order for him to stay overnight. what I did. I came home the next morning. My wife was very angry. Many picture but no sound. She ignored me. In fact, they left with the children. I'm her chasing the car drove up to the football stadium. Although nothing happened, my wife after the disappearance of the police Younes stated that I wanted her then ride down. " "My wife has teased me"
"Every Sunday she teased me all day. It was bad. She was angry that I had paid 1000 euro for the furniture. With that money she would rather buy a gold ring. Moroccan women are mad of gold. She kept saw. Then I suggested that all her furniture to resell. So I looked up a friend in northern France that would take over the furniture. " "We have eaten first and then a walk. Wasir was soccer. (On the football came back to a violent quarrel between the spouses, ed) evening my wife did not eat. But then I've eaten together with my children and we are then going to sleep. My wife was lying on a mattress between my sons. I have to put her feet, but my wife grumbled against. Then I have to put a small mattress beside her, but she kicked me. She bounced right and then broke my gold chain. They then constricted the chain around my neck. What I gave her a smack. She hit back. Then I have taken her in a headlock and flipped her arm. My wife picked up a porcelain jar and tossed through a window. It was midnight, I think. " "They shouted: 'Daddy, Mommy, stop!" An hour later all was quiet. Then my wife said that she would step into the police and her injuries would prove to our family doctor. She was wounded on her forehead and cheek. I also had injuries to my lips and shoulder. My wife has then dressed and the streets behind. She left the door open. I ran after her, to the gym at Le Bizet, but I found her and then I returned home. Then I go find her car. I am up to the house of the doctor driven, but my wife was not there. What I drove back home. " Where were the kids then? "Wasir was asleep in the armchair. I asked him whether he had seen his mother and Younes. He replied that Younes was a runaway. He showed me how Younes street towards the house of the doctor was gone. I am again the car left my son and my wife. On the way back I saw a man (an employee of a Turkish restaurant, ed). It was 2.40 am. When I got home, I have been asked Wasir clothes to wear. We are then left together. Younes and looking for my wife. " Younes was there when you first walk home? "Yes. He was sleeping next Wasir." Where are you going to find Wasir? "Everywhere. Even up to a pond towards the Lys. We have been there four times. The last time his mother saw Wasir plots. Then I stopped and asked her what was Younes." Home ", she replied . We are again returned home and have searched everywhere. " Where were you exactly when Wasir wife saw her? "They crouched behind a tree. She had been there since midnight. When I found her, it might have been 4 hours in the morning." Have they hidden for so long? "My wife is very stubborn. She always asks to return to Morocco. If we are on vacation in my homeland, they would always stay until the last minute. We are now ten years married and living in Belgium, but since two years my wife back to Morocco. " Have you during the search for Younes have quarreled? "No.. Younes we have sought to day. For 6 hours the morning we went to the police stepped, to declare it. First to the police station in Waasten, but it was closed. Will have the officers in a patrol immediately invited to accompany us home in Le Bizet. " What has made the police then? "They have our home and searched my garage. They have opened up garbage bags and my car turned upside down. Then they go searching a cemetery. An agent with the scent of a beagle took Younes on his clothes. Two policemen have me then interviewed. At the end of the interview they told me I had not told the truth. They also took a blood sample, fingerprints and a photo of myself. For 22 hours I was taken to the police station in Tournai. They have me again placed on the grid. Then I spent the night in a police cell. I had my glasses issue. I did not sleep that night. I could not go home the next day because it was sealed. My car was seized . I was moved to Emmaus, a shelter for homeless in Le Bizet. I had no fresh clothes and it was cold. After two days I was again questioned. She wanted me to put the lie - I had no problems with it - but eventually they decided to not to do. I was interviewed four times all together. " Are there holes in your time use during the night disappearance? "The police says so. My night, as I have explained, they were certainly 40 minutes too long. I do not own all. In such circumstances it is difficult to be precise." Were you confronted by the police with your wife? "Two times, on the police station in Tournai. I told her that things would not happen, she could have stayed home that night. She replied that she was sorry. She reproached me that I drink too much and that I Younes had touched. That's right. I had him a few times by the hair pulled because he had beaten me. My wife threatened to take them there when the kids go to Morocco. " Is it true that Younes scratches on his face before he disappeared? "The day of his disappearance, I have certainly not beaten him. Wasir had that day a small wounds on the face of Younes. I myself had not noticed. The quarrel between my wife and I was very fierce. And flew a Another round. " Younes was accidentally hit by something? (crying) "It's very, very bad." Would you like to know what really happened? "I would like to fly. I hope that my son is now in heaven and that he is happy. What happened is, he has not earned. He was only four years. He had done no harm, but still no good. Younes was a happy little guy that everyone knew in the neighborhood. Younes God has given us, but again removed. Allah chooses whom he takes back. We are not stronger than God. " "I want to stay in Belgium"
What about with your marriage? "I hope I will be back with my wife talk during the funeral. I love her and she of me. I'm jealous, very jealous. I would not be alive in Morocco. I want to stay in Belgium. My wife will follow me. " What do you find most important: know what happened with Younes or save your marriage? Younes is not abused and not abused"
N - "The body of Younes showed no injuries and no fractures. And he was not raped. The police told me that during one of my interrogations said. " That said Mohamed Jratlou (65) yesterday on the French TV channel RTL-TVI. He first broke through the silence which he has since the disappearance of his son had wrapped. Exactly three weeks ago, the small Younes (4) away from his home in Le Bizet, in Komen. His parents had when slamming row. First mother walked Naïma Zraidi (42) the house, followed by father Mohamed (65), who wanted her back. The door of the house remained open. Wasir (9) Younes saw his little brother followed his parents, only dressed in a blue sweater and a diaper. He was not seen again until November 10. Then his little body was found in the Lys. Neatly dressed in a gray suit father Mohamed spoke yesterday for the first time publicly about the tragedy. For the first time while he also showed some emotion. "I swear I am innocent," he sobbed in faltering French. I'm going to destroy this whole thing around my son. " He herpakte fast as he continued: "The police think I'm guilty. To them I am the prime suspect. It took me long hours during the interrogations are not spared. I'm really on the grid provided. During one of these interrogations, they told me that Younes was not mistreated. And not raped. " What his son or did? Since father Mohamed has its own words still to guess: "I can only know God. Younes is running after us. We know that because his brother saw it Wasir. Then we have not seen him since. Has he met someone? I do not know. " "I can Younes impossible in the dark alone in the long road to the Lys have made. Younes only knew the way from home to school and the football field, where he and his brother played. Perhaps he knew the road from the school to our family doctor Caroline. And he knew how to the playground in Church Street had to go because we went back to our regularly sons to play in the sandbox. Younes also played occasionally on the undeveloped land right over our house in France, because we really live on the border. He did not go. " That had to ask the neighbors are always cool attitude, laid Mohamed Jratlou as follows: "In the Moroccan culture is crying for the women play. Men do not, certainly not in public. But my heart bleeds. " If he repents of the fight that night? "Of course. There was with us and to fight like that any torque occurs. But this argument has serious consequences, "gave to Mohamed. "My wife lives since my eldest son in a shelter (for abused women, ed.). Yet we call each other every day, morning and evening. I too would like the thread of our common life resume. And my other son back, because that since the disappearance of Younes impossible. Eventually we will sooner or later go to Morocco together, because we Younes buried. That he was a violent man and his former girlfriend once with a rifle has threatened, denied Mohamed Jratlou firmly: "That woman is lying." "I want the truth. I want to know what happened to my son, "he concluded.